How many times have you thought, “I really have to do something about all that junk in the basement, specifically five boxes of old photos and five years worth of mini VHS tapes that no one can watch because the viewers don’t even exist? And then there are the photo albums that you spent years compiling only to have them cannibalized by the kids for their high school yearbook page, not to mention the disgusting old yellow scotch tape that doesn’t even stick anymore. What’s a sentimental person to do– lug the bins and boxes around from basement to attic to townhouse to assisted living until someone has the nerve to throw it all away? We are looking for a ray of sunshine, perhaps, after the hard news that no one wants our leather embossed photo albums or even our good silver anymore. Cue the Legacy Box coupon that reminded us of possible light at the end of a dark tunnel. A mini dive into the who, what, and where of digitizing your old photos shed some light: this isn’t impossible or even painful and you can pay someone a little or a lot, depending on your comfort with delegating, to do the whole shebang. All of your tapes, photos, audio recordings and even DVDs from the drive-thru photo mat can be consolidated onto newer DVD’s, a flash drive or into the cloud, for safekeeping where it is likely no one will ever look at them, but you will feel so much better about not leaving all those memories to the damp of basement storage, or even worse, to your kids. This roundup includes the most reliable national suspects although your local photo equipment shop might know of someone just down the lane. We haven’t tried them all; in fact, we are awaiting the return of our first foray with just one provider. Even if they come back flawed, the feelings of success already outweigh the possible sadness over a few lost photos. LEGACY BOX creates the cutest user experience. You choose a project size, they send you a cool box with inventory stickers and instructions and you return it to them with all your “analog materials” (i.e. ancient artifacts) with the postage already paid. You can track your project’s progress and they offer a money-back guarantee. They recently licensed the Kodak name but the service and the pricing are the same for both. DIG MY PICS gets some great reviews although the site isn’t as slick or easy to navigate as Legacy Box. The deal is basically the same, you send them your photos and tapes and in about two weeks they return them. Be careful when ordering video to digital, the charges for time and conversion are different. If you don’t like them, you don’t pay for them. SCAN DIGITAL will return your memories to you in 3 -4 weeks. Pricing for photos is reasonable, pricing for video to digital is a little less so, but they take care to compress your files. Also, note the shipping charges can be high. MEMORIES RENEWED gets accolades for customer service. This is a family run business, one that takes care with the restoration and re-colorization of old photos. We would call this the “bespoke scannery” where you can even send them your intact albums and they will return them to you that way. It’s not inexpensive and they say each job takes anywhere from 1- 3 months but after decades in the basement, what’s a little wait time? You can also ask them to edit your videos at an hourly charge, so if eliminating your was-bund from Lily’s Sweet Sixteen is your goal, these are your peeps. GO PHOTO says to pay when your job is done and they seem competitive and careful to adjust scans for quality. They ship flat rate UPS. COSTCO, yes, Costco, via an outside provider, is in the scanning business. The prices are great. Video pricing includes merging two tapes into one digital version, thus saving money if you spent too much time behind the camera way back when. You must personalize and print your order and take it to Costco for review and then again, to pick them up, and you must be a card-carrying Costco member. GOOGLE SCAN is brilliant, if you’ve got the time the patience, a nice smartphone and have a few curatorial skills, you can do it yourself by scanning and then uploading all your photos to the cloud. 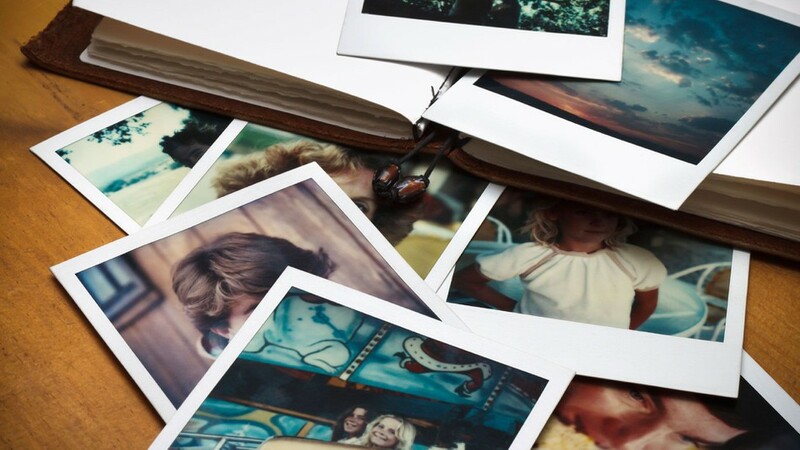 ARCHIVE MY MEMORIES Finally, if digitization is not your goal but organization and improvement is: Cindi Shattuck is a photographer and an artist who will work with what you’ve got to restore, reimagine or just plain organize your family photos into new artworks all their own.